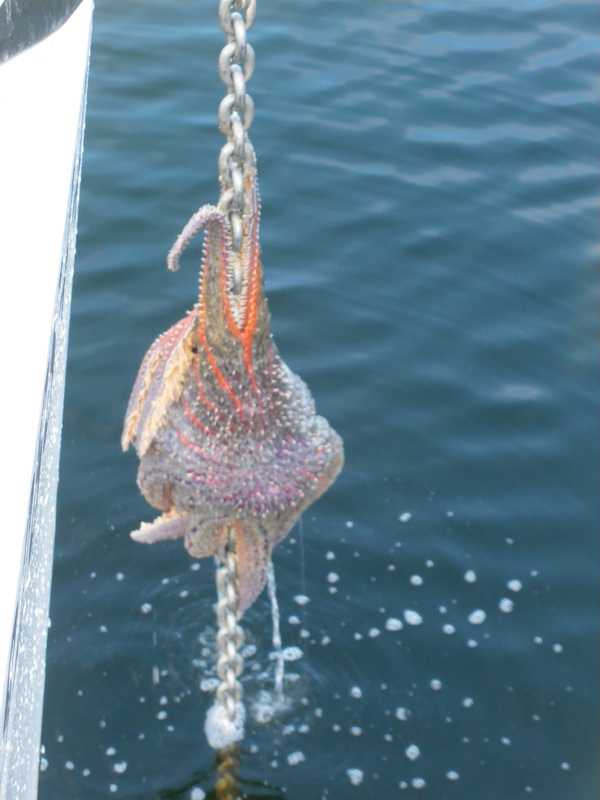 Getting on the way is a bit delayed today as a very large starfish has caught tight hold of our anchor chain and we need to kick it off with the boat hook. 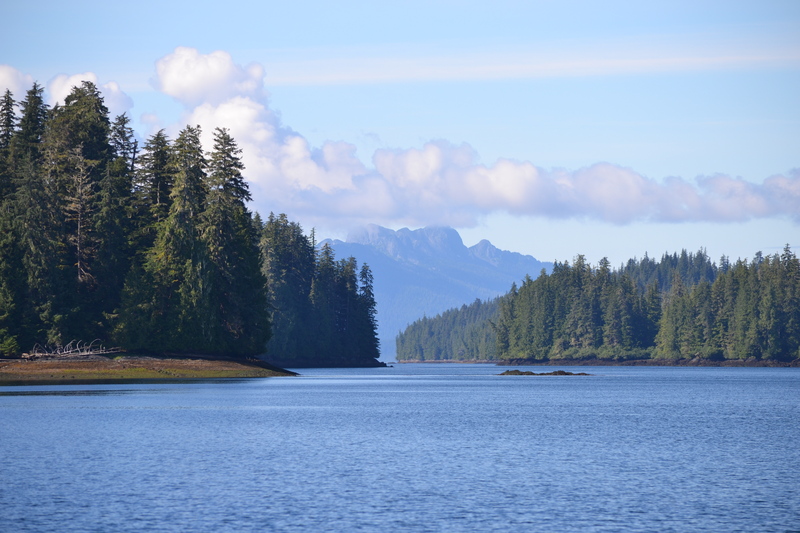 It is a bright sunny day and we very much enjoy going through Tuxekan passage and then Tonowek narrows. Both are deep but we have not timed the narrows so we have 3 knots of flood against us. Slow going and sometimes hard to keep a straight line but no real difficulty. We get a good view of Bald Mountain on Heceta Island and spot a whale in the distance. There are still many sea otters playing around the boat every day. 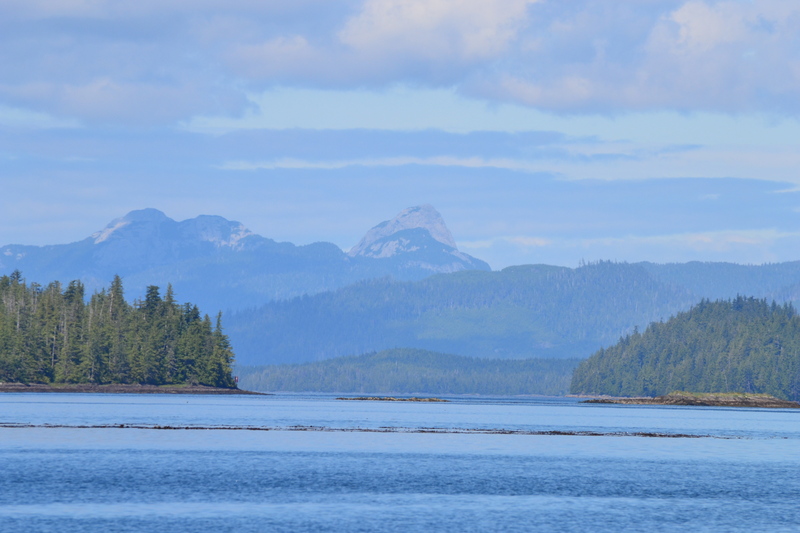 After anchoring in Nossuk Bay in complete wilderness, we have not seen a single other boat today, we paddle in the maze of rocks and islands in the bay. Very beautiful waters and we get entertained by a group of five female Merganser ducks hiding in a tiny cove. The double inflatable kayak has been a lot of fun. No luck with the fishing, we caught a small shark that we released and that’s that. 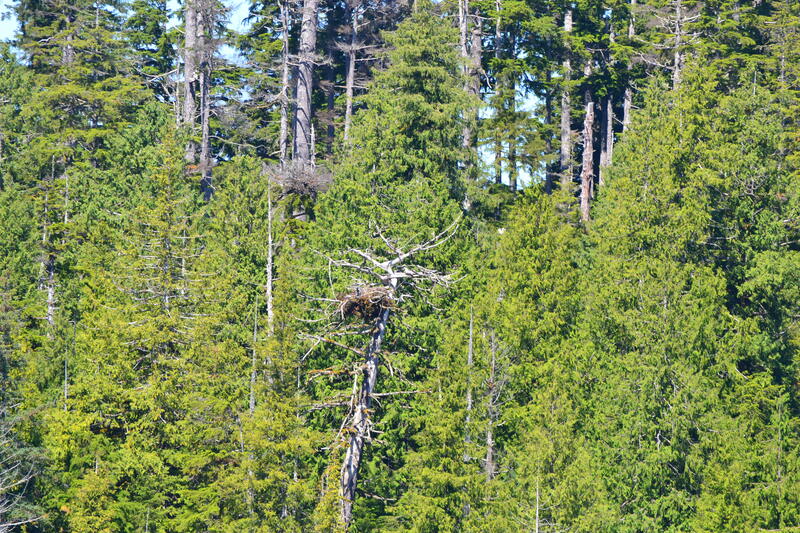 This entry was posted in The Log and tagged alaska, Inside passage, Nossuk Bay, sailing, starish. Bookmark the permalink. Where are the pics of the SHARK!? I was just thinking about you so I thought I’d check your blog, and you had just posted this entry! You have quite the circle of admirers here at home.